Download our FREE eBook guide to learn how playing golf can help challenge you and your children to work towards self-improvement while having fun. Junior golf coach Bill Murchison III is the Director of Georgia Golf Performance in Canton, GA and has the easy likeability and confidence of someone living his passion and purpose in the world. Bill is a Class A PGA Member, PGA Certified Instructor and US Kids Golf Certified Instructor. He played in the 2012 PGA Championship, in four Professional National Championships and on the Web.com Tour. I sat down with him to ask some in-depth questions on what factors go into coaching junior golfers from very young beginners, to older beginners through elite tournament players, and how to motivate them for ultimate performance. You have a lot of experience both as a professional player and a coach. What is the most important thing you want to emphasize to the player and his/her parents when you bring a new junior into your academy? The most important thing we start with is recognizing the junior golfer’s goals. We talk about the player’s expectations and create a clear roadmap to achieve what the player is hoping to accomplish. Some players come to the academy for the social aspect and some want to be competitive tournament players. Ultimately it is the junior player’s passion that is going to drive motivation and not parents’ expectations. With your very advanced and elite players what do you look for to take them from good high school players to College contenders? Their heart, motivation and personal drive. You can have all the talent in the world but it is the kids who eat, breath and sleep golf that are going to get to the next level. My job is to guide the player along the roadmap we create together, but really it is their personal motivation that takes them to the next level. What do you enjoy most about teaching golf to the youngest members of your academy? Having fun with them. Seeing their faces light up when they first get the ball off the ground, sink a long putt or hit their furthest drive. When they’re young they are not bogged down about how difficult golf can be and they just have fun with it. And it’s not just the youngest members, I remember playing a tournament with Jason Day and waiting on the tee box he mentioned he was working on how to make golf fun for himself. My goal is to find ways to make golf fun and I focus on it with both my adult and junior lessons. How do you make golf fun, and keep it fun when juniors start getting into it competitively? One way I make practice fun is to initiate a challenge or game for my students. I will pick two targets on the range with a small gap between them and see if a student can hit 3/5 shots in between the two targets. If they don't successfully hit 3/5 in between the gaps they owe me pushups, but if they do then I have to do pushups. They love watching coach do pushups when they accomplish the task. I highly recommend practicing with a friend or small group so you can have putting, chipping or full swing contest with each other. Be creative and make some crazy rules. Every tour player I have interviewed said one of the best things they did growing up was spending hours on the practice facility competing with other colleagues or friends. How does your approach differ with a 6 year old who has never played golf and a 12 year old who is starting for the first time. For new 6 year old players my approach is to allow them to start by “experiencing golf” in general terms. I'll have a young junior attempt to chip a ball over a noodle or try to make a 2 foot putt. We practice raking bunkers and replacing divots because at this age its all about experiencing golf. I do this even before I go over the fundamentals. Juniors' learning increases dramatically when they experience something vs being told something. Getting the junior to love golf is the first priority. When the junior is engaged and experiencing golf it is easy to add in fundamental work at that point. For an older child starting golf for the first time I still like for them to experience golf, but I can spend more time going through the fundamentals and using a more technically based approach. How have you changed in your approach to coaching junior golfers over the past 10 years? It has changed a lot. I have learned a lot from great mentors over the past ten years and my approach has moved from a heavily technical emphasis to a more skill based approach. I look at golf more as an art form through which players figure their own paths and problem solve, as opposed to hard technical instruction. I believe this shift has made a big difference to my juniors. Another big change in approach is that these days golfers are athletes and I am a big believer in incorporating physical training into golf instruction. We do this in our academy through a partnership with Club PT. How has technology made golf instruction better? And specifically what types of technology do you use? Technology has certainly improved golf instruction by taking guess-work out of the equation. Now days we rely on actual measurements and can provide students with numbers and videos that correlate to what we are trying to achieve with regard to ball flight paths, club face numbers etc. In the academy we use Blast Motion, TrackMan, and BodiTrak. What do you think about single sport specialization at a young age? I don’t agree with single sport specialization at a young age. There are exceptions but myself and other tour players generally all played multiple sports, which I feel gives a better chance to becoming an all-round athlete and developing body co-ordination and conditioning. If you are going to specialize as a junior golfer, 14 or 15 years old is a good starting point. 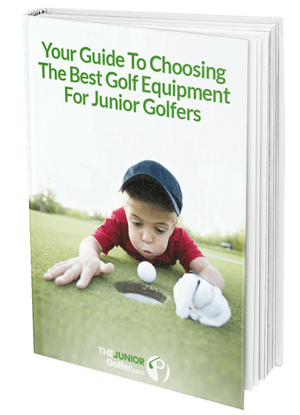 What are the challenges of keeping junior golfers engaged in the game long term? It can get boring and it can be difficult. You have to set realizable goals and continually build on small successes to create a fun environment and encourage a sense of motivation and accomplishment. Can you give some examples of goal setting for juniors and how one creates a fun environment to motivate young players? I set all different types of goals for juniors depending on their aspirations. It may be as simple as a practice goal of making 7 x 10 3ft putts before the next lesson, or moving a current skill rating such as bump and run chip shots from a 3 rating to a 6 rating in the next 3 weeks. The big part about motivating juniors is grouping them with other juniors that have the same goals. Achieving goals with other students is so much more motivating then trying to accomplish something by your self. Nobody wants to be the only one who didn't accomplish a goal. I read recently in a survey that fear of failure is one of the biggest motivators. I try not to motivate by fear, but by reminding them of the finish line and the prize on the other side of accomplishing that goal. The reward has to be greater than the pain. How much practice time do you like to see your elite golfers doing between lessons and how does that change in the build up to a tournament? I like to see them practicing every day. In the academy my kids all have a checklist that they rate themselves on for all facets of the game. Leading up to a tournament I like them to look at where they are on their checklist. If they are in the 7-8 range in all aspects we focus on maintaining form and keeping focus. If there are areas in the 2-3 range we focus more on them leading up to a tournament. In spite of golf being such a great sport for girls and women throughout their lives, a great many (around 30%) of college golf scholarships for women go unused. Why do you think that is? Girls tend to be more social and follow along in groups, so if one stops playing it often happens that the rest of the group will follow. I would like to see girls have a specific plan for themselves and be passionate about their own interests and own goals. Parents need to encourage their junior golfers to follow their own heart and not leave an opportunity just because a friend quits a team. Do you have any other advice you would give to parents whose juniors are starting out or relatively new to golf? Golf needs to be fun for the player. It is about the experience and not being heavily technical in the beginning. Set small goals to achieve in the beginning and only start to focus on the technical aspects as they start meeting the little goals down the line.